World of Logs - Tutorial - How do I start a live combat report? How to manage permissions for my guild? How to register on WoL? How to analyze combat logs? How do I view my uploaded reports? How do I create an account on WoL? How do I manage my guild page? How do I use the Expression Editor: Query Language? How do I start a live combat report? How to add widgets to your guild page? How do I split and zip combat log files? 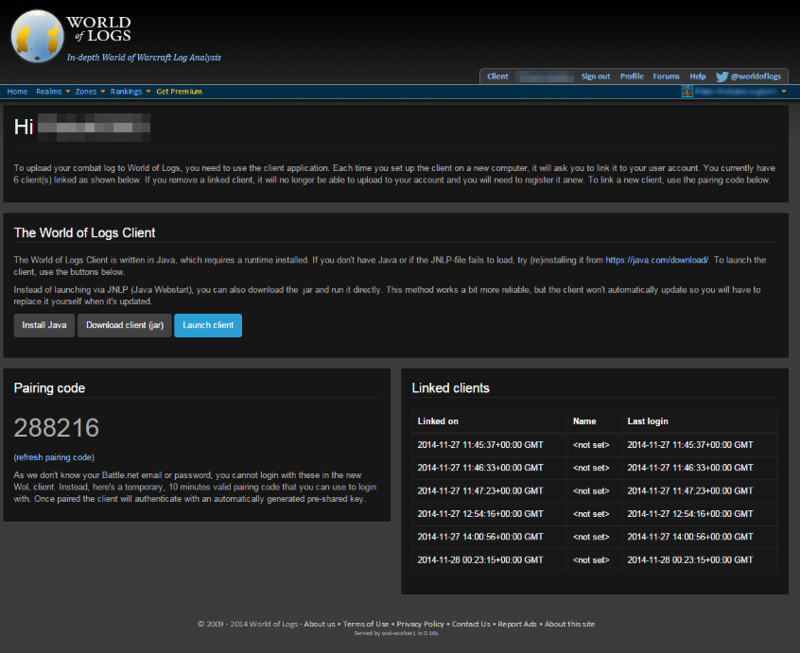 How to launch the WoL client and start a live combat log report? If you're using the WoL client for the first time, here's a step-by-step guide explaining how to set it up. 1. Go to the client page by clicking on "Client" on the top right navigation bar. 2. Click on “Launch client” for download. Open the file and the WoL client will start up. 3. 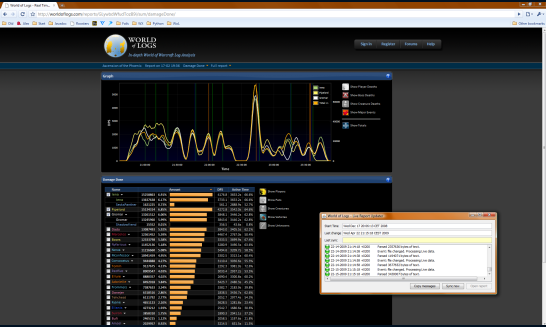 To upload a live combat log using the client, click on "Start a Live Report Session" (real-time analysis). 3. Select sync now for live reporting. 4. Once you engage in combat, the live reporter will automatically update it to our servers. Select open report to view the live combat log. It will open your live report on your webbrowser and automatically update.